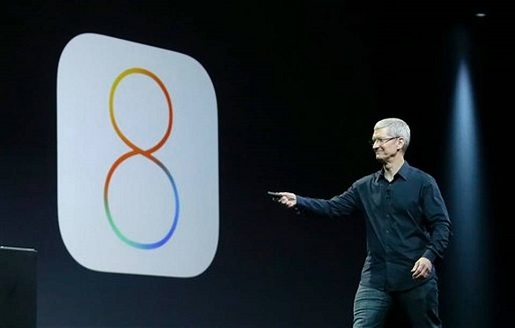 Tim Cook announces iOS 8, which is broken. Everyone wants to be part of the latest and greatest version of everything, but when it comes to updating your operating systems, you should always think twice before you push that download button, especially when it comes to Apple’s smartphone operating system. Apple’s iOS is notoriously riddled with bugs with every new update, and it usually is prudent to hold off on updating until a stable release has been issued. This goes double if you’re one of the lucky 10 million who got a new iPhone 6 or 6 Plus. As it turns out, Apple just released iOS 8, and once again, iOS has bugs that have rendered some users unable to make telephone calls or use fingerprint verification. Interestingly, it seems that the bug is mostly bothering the iPhone 6 and 6 Plus units, not the older iPhones. Older phones are still eligible to be updated to iOS 8; only the new phones seem to have been blocked from it for the moment. Still, if I have a functioning iPhone 5, I’m not going to be upgrading any time soon, at least not until all the bugs have been ironed out completely and Apple releases a more stable 8.1 build of their OS. If the newest phones won’t work with it, why would you bother double-checking that the old phones won’t work?